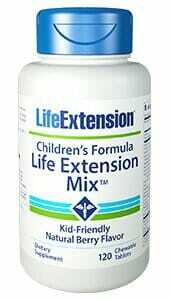 Children’s Formula Life Extension Mix contains vitamins, minerals, phytonutrients, amino acids, essential fatty acids, phospholipids and probiotics. All the nutrients a growing body needs. Convenient chewable tablets with natural berry flavor. Purchasing this product today earns you 19 DR Reward Points! At last a multivitamin which is all-natural, carefully dosed with every nutrient a growing body needs, and based in a delicious, easy-to-chew tablet formulation! 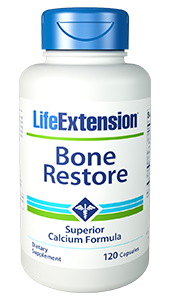 Children’s Formula Life Extension Mix contains vitamins, minerals, phytonutrients, amino acids, essential fatty acids, phospholipids and probiotics. Natural berry flavor. Every parent knows that the only thing harder than getting their children to take a multivitamin is getting them to eat healthy foods on a regular basis! Yet kids, even more so than adults, need a full and balanced profile of vitamins, minerals, and other nutrients in their body in order to grow up strong and healthy. This is why parents turn to children’s multivitamins – a quick and easy dose of all the nutritional content a growing body needs. These easy-to-chew tablets have an all-natural and delicious berry flavor to make them even more kid-friendly. They contain vitamin A, vitamin D, vitamin C, and a variety of B complex vitamins, as well as a multitude of essential and trace dietary minerals. 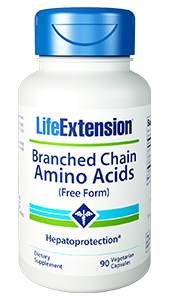 Children’s Formula Life Extension Mix also includes phytonutrients, amino acids, essential fatty acids, phospholipids, and probiotics – making it the most complete children’s multivitamin available today. Other Ingredients: xylitol, microcrystalline cellulose, natural beet color, natural (cherry, vanilla, strawberry) flavors, stearic acid, citric acid, gum arabic, silica, dicalcium phosphate, luo han guo extract, hydroxypropyl methylcellulose, maltodextrin, corn starch, stevia extract. For children 4-8 years of age chew two (2) tablets daily with food, or as recommended by a healthcare practitioner.